You can adjust the resistance between 55 and 154 pounds, making the model equally fit for beginners with a weak grip and veterans with a strong grip. It doesn't make any sound when you squeeze the handles. The close confirmation extension will prevent you from jamming your skin. The adjustable knob is a little stiff. 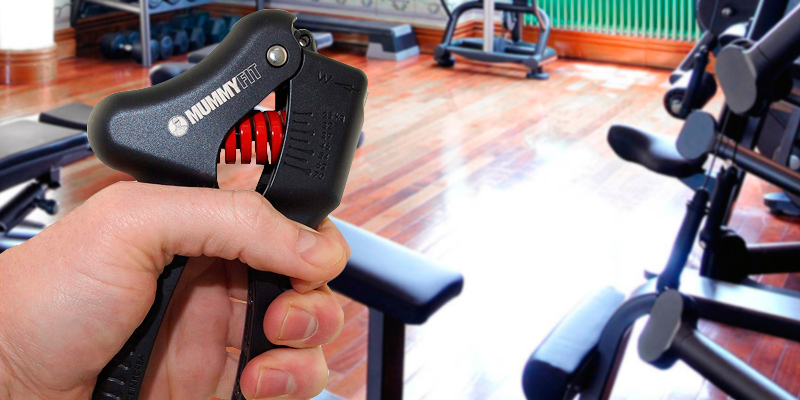 MummyFit Death Grip is the best hand gripper in this review. It's not just one single aspect of this product that makes it stand out. It is everything, from the quality of build to its exceptional versatility. It may not seem cheap but the model should last you a lifetime. 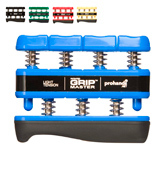 Equipped with GR8™ springs, the gripper doesn't lose its resistance over time. You can put it in a commercial gym setting for years and it'll still be able to produce the same resistance. Its billet aluminum and alloy steel construction is as rugged and robust as they come. The metal grip irritates palms. IronMind Captains of Crush is a hand gripper that's all about results. 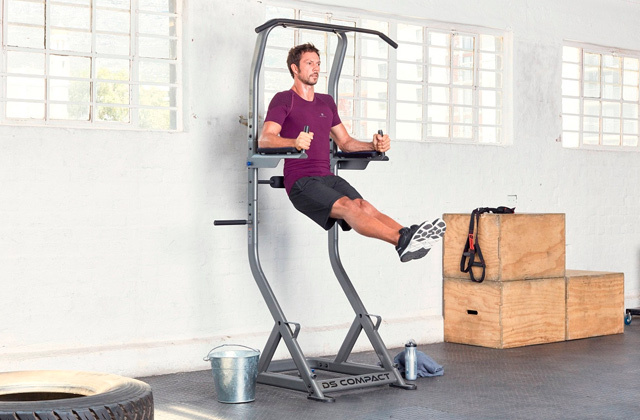 It is an effective piece of exercise equipment that doesn't cut any corners and allows you to produce the fastest gains. Plus, it doesn't hurt that it looks good too. You can use the rings to gradually increase the difficulty of your training or to do interval training, alternating between the rings. 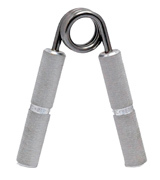 They're suitable for pinching, crushing, and even extension exercises. They'll let you train and develop your palms, fingers, and forearm muscles. 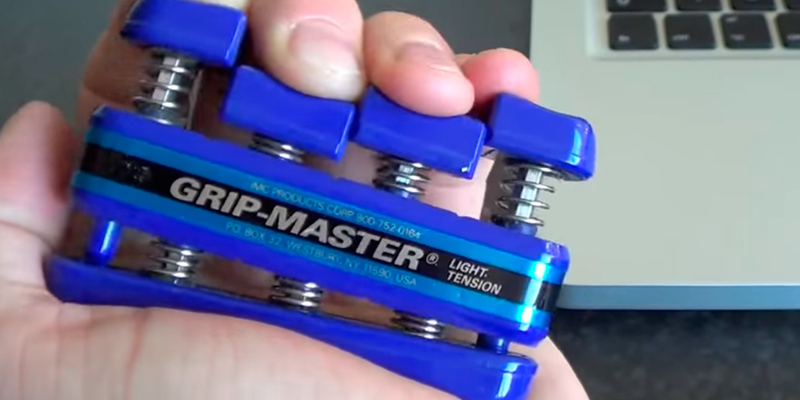 The grippers lose their resistance over time. Iron Crush silicone rings are easier in exploitation. They're more affordable than their metal counterparts. They'll allow you to train more muscle groups. Though aren't as durable, these things are just as effective and arguably more functional than standard hand grippers. The model excels when it comes to isolating and developing each finger individually. 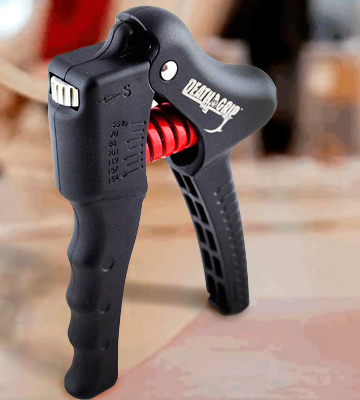 Using the company's patented spring-loaded finger piston technology, it challenges the fingers, creating the necessary separation to strengthen them as quickly and efficiently as possible. Not the best grippers for people with large hands. Grip Master X-Light is easily the best piece of exercise equipment on this list for aspiring athletes looking to improve their throwing, hitting, and fielding. 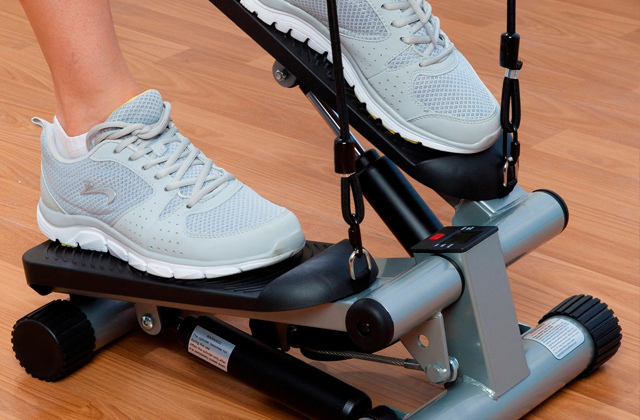 The exerciser is also available in other resistances, with an appropriate model for kids and professionals. The package includes 2 hand squeezers, so you'll be able to work out 2 hands at the same time. Both grippers incorporate an easy-to-turn dial, so you won't have to twist your wrist every time you feel like changing the resistance. The handles feature a comfy ergonomic grip with non-slip coating. Make a slightly annoying clicking sound every time you squeeze them. 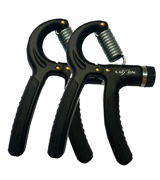 These hand strengtheners from Luxon provide you with an affordable way to exercise your forearm muscles and improve your grip strength. The large resistance range makes them great for kids, adults with a weak grip, and fitness enthusiasts with a tight grip. There is a lot to like about MummyFit Death Grip. Despite the daring name, this product isn't strictly targeted towards gym addicts. What makes it better than the absolute majority of similar prospects is just how adjustable it is. You can tweak the resistance between 55 and 154 pounds, making the model equally fit for beginners with a weak grip and experienced athletes with an eponymous death grip. To match the latter resistance, you'll have to buy 6 metal coil grippers. MummyFit Death Grip is safe. Instead of stretching a metal spring to create resistance, it is designed to compress it. This way, you know the gripper won't fail you in the long run like its cheap plastic counterparts, sending potentially dangerous debris flying through the air. That compression mechanism is also part of the model's silent travel. 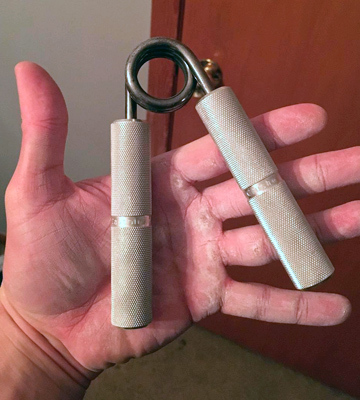 Using this hand gripper, you'll be able to improve your grip strength sitting in an office or lying next to a sleeping baby. Though a simple tool, its construction is a thing of beauty. Made of robust steel, it won't bend or deform under any pressure. The handles incorporate these nice non-slip grooves that will prevent your hands from skidding around or sliding off them. The close confirmation extension ensures you don't jam your skin. Long story short, MummyFit Death Grip is the best hand gripper in this review. It's not just one single aspect of this product that makes it stand out. It is everything, from the quality of build to its exceptional versatility. It may not seem cheap but the model should last you a lifetime. IronMind Captains of Crush is as silly of a name as it gets. But there's nothing silly about the gains that it will help you produce and the surprisingly short period of time it will take to make that happen. This thing is all about efficiency. Equipped with the company's very own GR8™ springs, the gripper doesn't lose its resistance over time. You can put it in a commercial gym setting for years and it'll still be able to produce the same resistance. Speaking of which, the model we're reviewing isn't adjustable but it does come in 11 different strength levels. You can choose anything from 60 pounds of resistance all the way to 365, so it doesn't matter whether you have a death grip or a grip of a sickly kitten, Captains of Crush will still help you improve your grip strength. Its billet aluminum and alloy steel construction is as rugged and robust as they come. Add to that the aforementioned grips and you have one of the most durable options on the market today. The sleek, attractive appearance of the gripper meshes well with the company's name and logo. Of course, part of that appearance stems from the lack of rubber grips. That means you'll have to train with metal grips and those can irritate the palms of your hands. Nevertheless, given everything that the model offers in return, that's a trade-off we're willing to take. All in all, IronMind Captains of Crush is a hand gripper that's all about results. 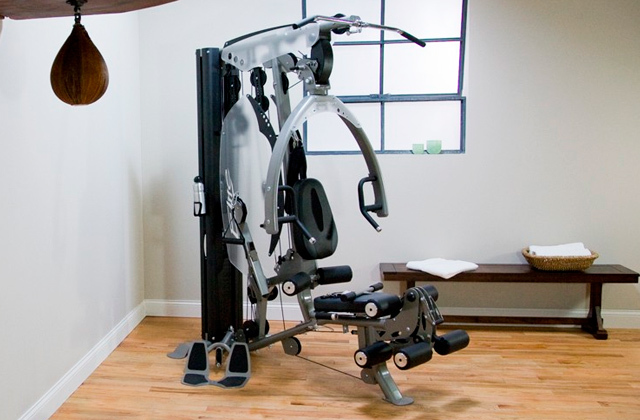 It is an efficient piece of exercise equipment that doesn't cut any corners and allows you to produce the fastest gains. Plus, it doesn't hurt that it looks good too. Iron Crush go old school. Instead of these modern hand grippers with a couple of handles and a spring-loaded mechanism, they give you 3 different silicone rings. Now, these rings have a lot of advantages and we'll briefly cover them in a moment. But they do have 1 major disadvantage. No matter how well-designed these things are, silicone rings always lose their resistance over time, so don't think of them as a long-term investment. Other than that, these things are great. 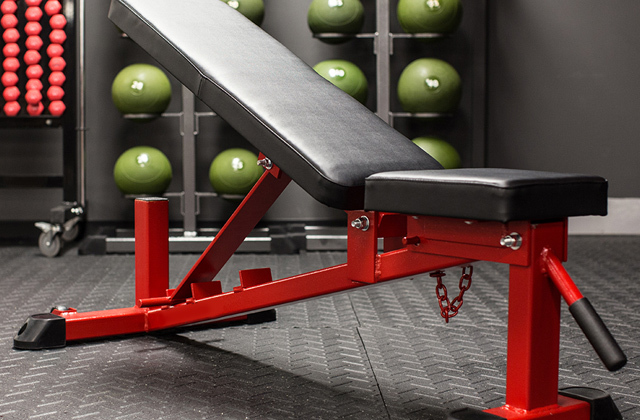 You get a 3-piece set that includes rings with 60, 70, and 80 pounds of resistance. 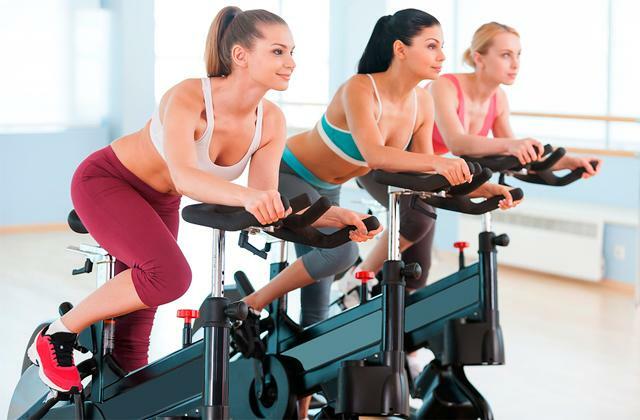 You can use them to gradually increase the difficulty of your training or to do interval training, alternating between the rings. Each gripper is color-coded according to the martial art belt color system, so you shouldn't have any difficulties identifying them. 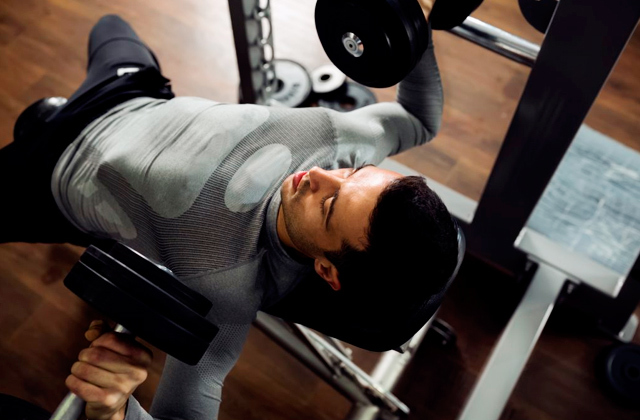 Unlike their modern counterparts, silicone rings are equally suitable for pinching, crushing, and even extension exercises. They offer a great stress relief mechanism, equally useful and effective for your mind and your hands. 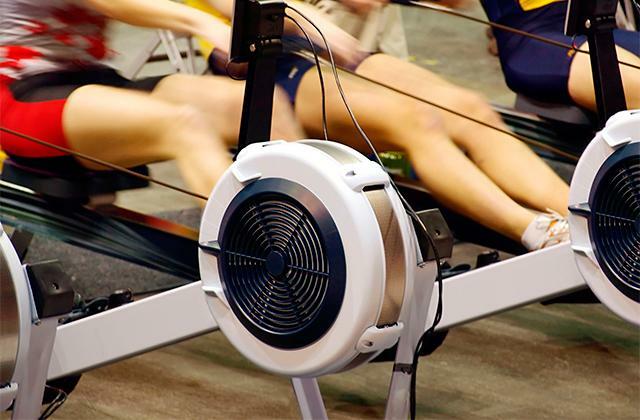 An exercise like that can also lower blood pressure. By the way, these things are a lot more durable than you'd think. Made of quality silicone, they're practically immune to scratches and wear. Ultimately, Iron Crush silicone rings are easier in exploitation. They're more affordable than their metal counterparts. They'll allow you to train more muscle groups. Though aren't as durable, these things are just as effective and arguably more functional than standard hand grippers. Grip Master X-Light is a slightly different tool compared to every other model in this review. 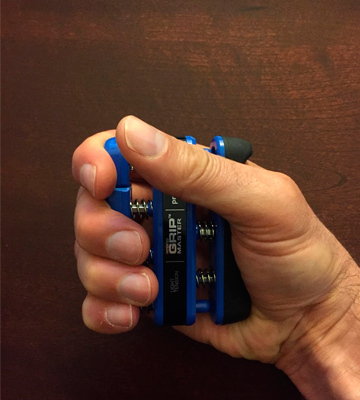 As you can probably tell from the image, it isn't quite as suitable for improving your grip strength as it is for strengthening weaker fingers. With this piece of exercise equipment, you'll be able to improve your hitting, throwing, and fielding, making it a great tool for aspiring athletes. Sure, you can use it as a hand gripper as well. 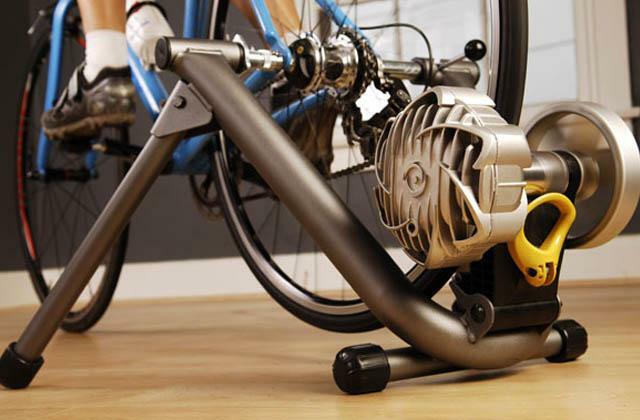 But given that it offers 20 pounds of overall resistance, it won't really get you far. On top of that, it might not prove that comfortable of a gripper for people with large hands. 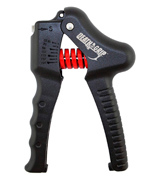 However, there isn't a single product in this price range that will help you isolate and develop each finger individually as well as Grip Master X-Light. Using the company's patented spring-loaded finger piston technology, it challenges the fingers, creating the necessary separation to strengthen them as quickly and efficiently as possible. It is a small tool but its plastic exterior is surprisingly durable and steel parts make the whole thing sturdy enough for heavy everyday use. To rephrase our earlier point, Grip Master X-Light is easily the best piece of exercise equipment on this list for aspiring athletes looking to improve their throwing, hitting, and fielding. The model is also available in other resistances, with an appropriate exerciser for kids and professionals. This 2-pack from Luxon is a much more affordable of MummyFit's Death Grip. Sure, it is a little inferior, mainly because it does make that slightly annoying clicking sound every time you squeeze the handles. But that's a really small price to pay considering that you get 2 grippers for three times cheaper than the one from MummyFit. Since it gives you 2 of these hand squeezers, you'll be able to work out 2 hands at the same time. Both models incorporate a nice resistance range. You can choose any value between 22 and 110 pounds, so it doesn't matter how strong your grip is, there is always room for improvement and, with this tool, you'll be able to make that leap. 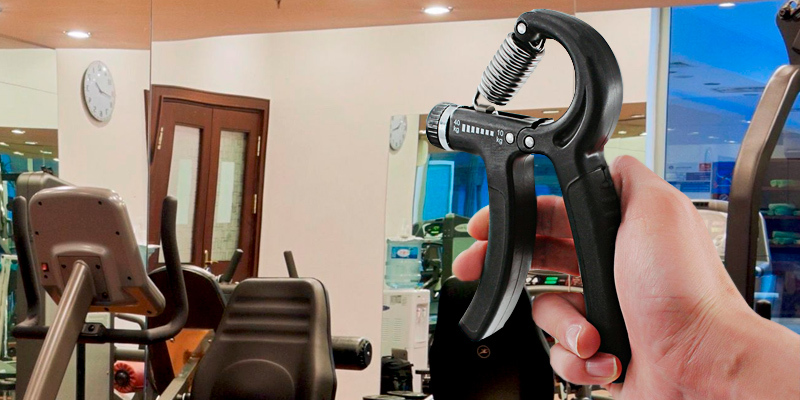 Unlike MummyFit's more expensive counterpart, these grippers incorporate an easy-to-turn dial, so you won't have to twist your wrist every time you feel like changing the resistance. The handles feature a comfy ergonomic grip with non-slip coating. They'll allow you to exercise as hard as you want without putting a strain on your palms or fingers or worrying about dropping the gripper. The plastic housing is easy to clean and the models are lightweight and compact enough to pop into any bag. 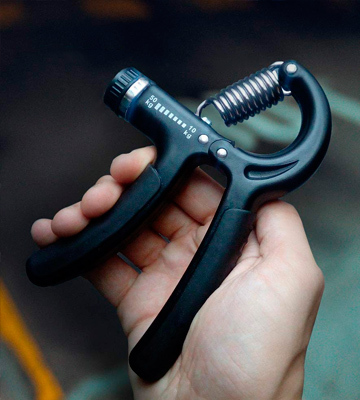 Bottom line, these hand strengtheners from Luxon provide you with an affordable way to exercise your forearm muscles and improve your grip strength. The large resistance range makes them great for kids, adults with a weak grip, and fitness enthusiasts with a tight grip. What Is a Hand Gripper? Grip strength is underrated. People exercise their abs, triceps, biceps, back, chest, calves, things, just about every part of their body before they even consider working on their grip strength. Now, we don't mean to get all preachy on you but this is a wrong approach. Grip strength is important for a variety of reasons. You don't want to create an imbalance between your muscles. To avoid that, you'll need a hand gripper. Often referred to simply as a gripper, a piece of exercise equipment like that will help you test and increase your hand strength. You'll find a few differences from brand to brand but, more often than not, these things are fairly similar. Most use a torsion spring fitted between two handles. The material may differ and the resistance may vary between different models. Some don't even give you those 2 handles. They go old school, with a rubberized silicone circle. A gripper like that has its advantages too, despite becoming somewhat obsolete these days. All in all, just make sure it comfortably fits your hand and offers enough resistance, that should do the trick. Already have a solid gripper? That's fine. Why don't you check our reviews of power towers and Roman chairs instead?